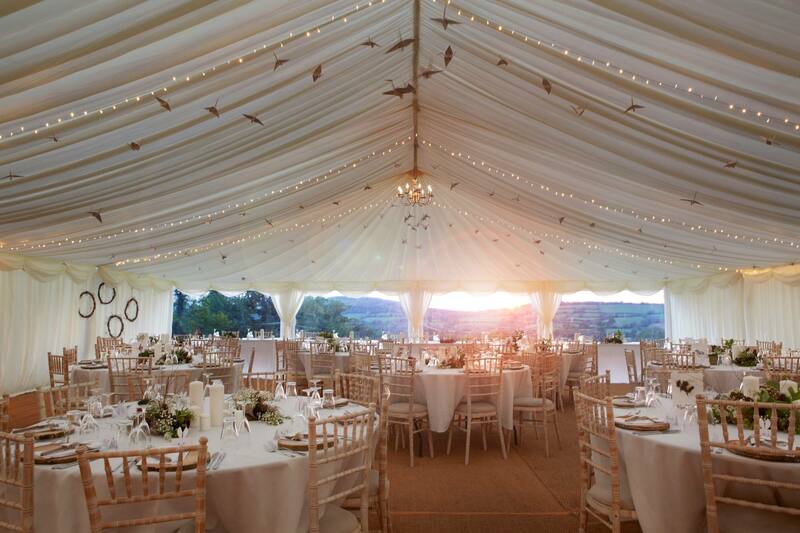 Clearspan marquee with pea lights and bird decorations…. with an amazing view! !